A hands-on cooking session for young chefs, led by Chef Pierre Thiam. He'll take you on a culinary adventure into the Senegalese kitchen and introduce you to the history, culture, and ingredients of his home country’s cuisine. Then, you’ll learn to make a colorful, flavorful black-eyed pea salad (salatu niebe) and enjoy it along with Chef Pierre. After the event, Chef Pierre will be available to sign copies of his latest book, Senegal: Modern Senegalese Recipes from the Source to the Bowl. Recommended for ages 7 to 10. Purchase of child's ticket includes two free entries for adult companions. 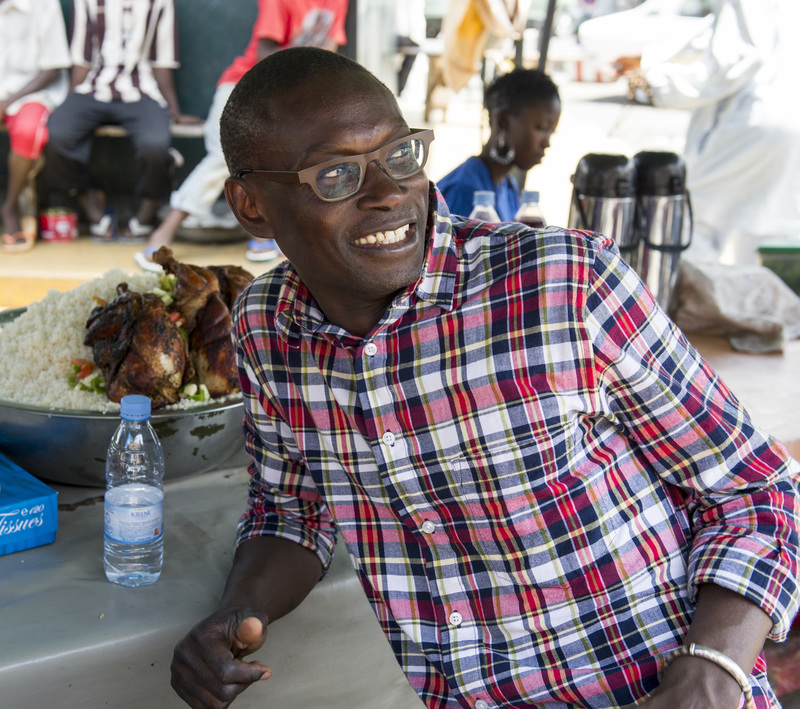 Chef, restaurateur, and cookbook author Pierre Thiam was raised in Dakar, Senegal, a bustling and culturally diverse metropolis on the west coast of Africa. He opened two restaurants in Brooklyn, NY, Yolele and Le Grand Dakar, both visionary African bistros that became culinary and cultural centers for Africans from the continent and the diaspora. He is the author of Yolele!, the first Senegalese cookbook published in the English language, and Senegal: Modern Senegalese Recipes from the Source to the Bowl. Pierre currently resides in Brooklyn, NY with his wife and three children.